The Gilded Age was a time period in American history. During these years, the United States was going through an economic and population boom. This created a super wealthy upper class. It was a relatively short time period, 1877 – 1893. After the Civil War, things changed fairly quickly. The gold rush, railroads, mining, and factories all contributed to the upper class having more money than ever. An elitist culture developed around material possessions. The term ‘Gilded Age’ actually was coined by Mark Twain. He referred to this upper class as ‘gilding the lily,’ which means that the wealthy were wasteful and ridiculous. 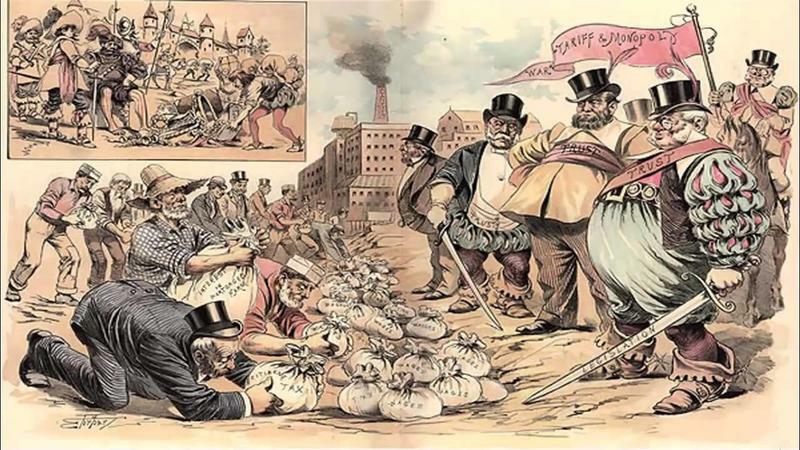 Robber barons were business leaders that used dubious tactics such as union busting, fraud, violence, and political connections to gain even more wealth. These men exploited their workers and shrugged off the law. 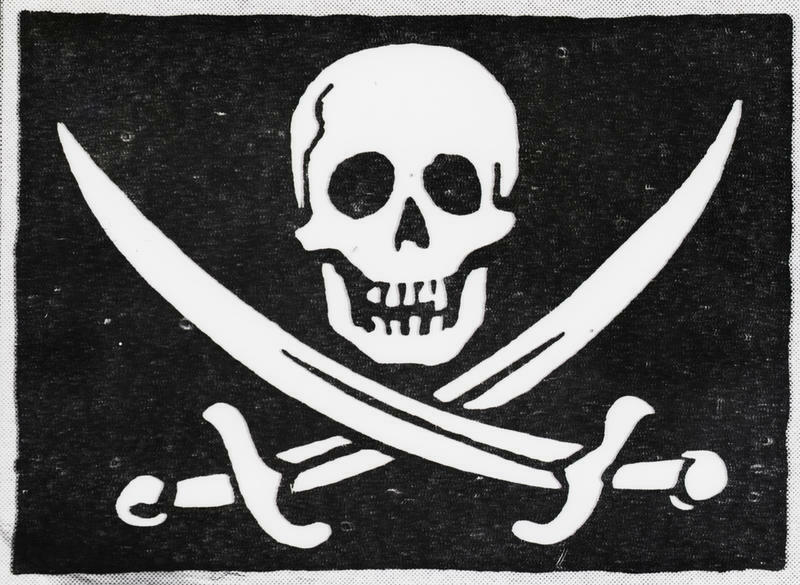 By doing such things, they had vast amounts of money and took over every major industry. A few of these men, Andrew Carnegie, and John D. Rockefeller were also philanthropists. They donated millions of dollars to charities and funded libraries, parks, and universities. While a very few used their money to help society, most were just greedy and spent their money on themselves. The Gilded Age came about really because of the Industrial Revolution. America and Europe moved from mostly agricultural to an industrial society. 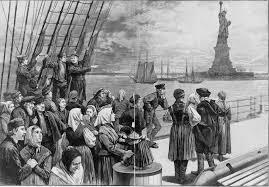 Millions of immigrants came to America during this time, looking for jobs. Because of the rapid growth of the cities, housing was scarce, which brought about the slums. Many of these immigrants died from preventable illnesses. Because these people were desperate they were willing to work for little pay. The business owners exploited them creating sweatshops. The work conditions were dangerous and many times they did not get paid what they were told. 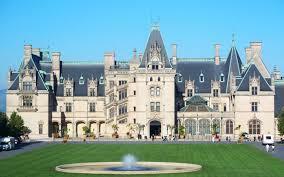 The Biltmore Estate and Mansion is just one, albeit the largest, example of a mansion built during the Gilded Age. It was constructed for George Washington Vanderbilt. 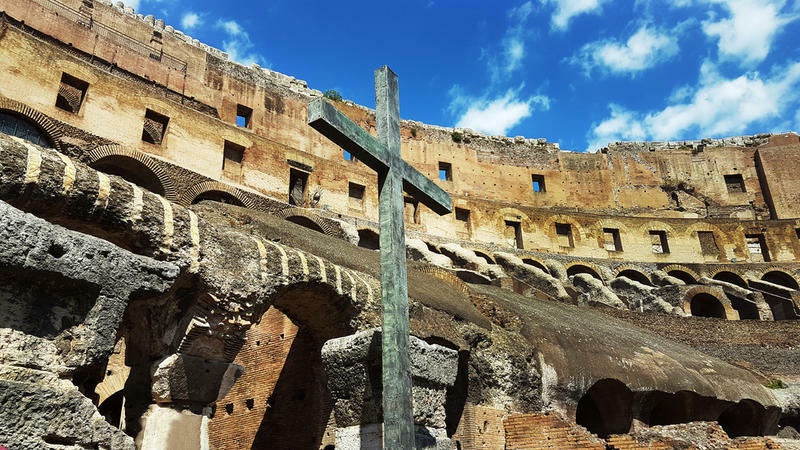 It took five years and hundreds of workers to complete. Many of these tycoons had more than one luxurious home. 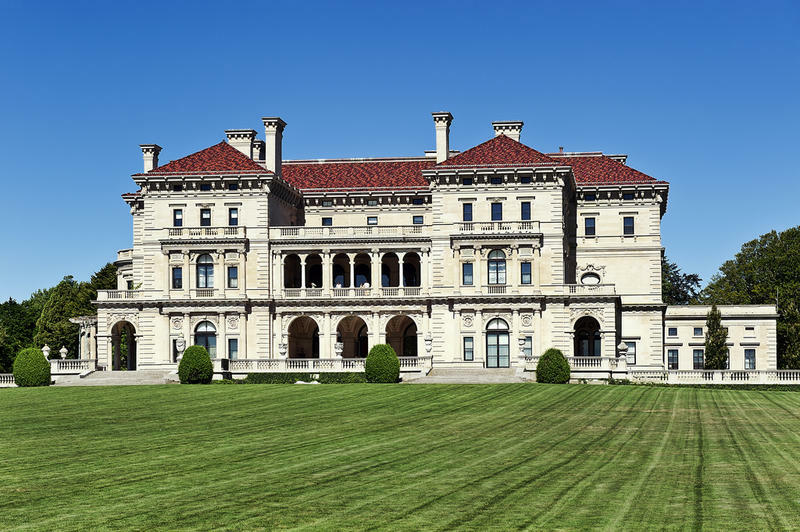 The Vanderbilt family had homes by the sea in Newport, Rhode Island. They referred to them as ‘cottages’ but they were built to be just as opulent as their main house. Each wanted to have the best and most elaborate home. William Vanderbilt built a house for his wife as a birthday present. The ‘Marble House’ also located in Newport, Rhode Island cost nearly eleven million dollars and was constructed of over 500,000 feet of white marble, the interior gilded with gold. Today, most of these homes have been taken over by historical societies. A ‘Muckraker’ was a term developed to describe investigative journalists willing to dig through the ‘muck’ to expose scandal and illegal practices. The upper class was becoming richer off the backs of the poor. The working and living conditions of these people were horrific. Jacob Riis was a photographer who published the book How The Other Half Lives exposing the terrible conditions of the tenements. This led to New York politician passing laws to improve the tenements. Ida Tarbell wrote a nineteen-part series about John D. Rockefeller and his underhanded tactics he used to build his oil empire. This exposé resulted in the break-up of his company, Standard Oil. 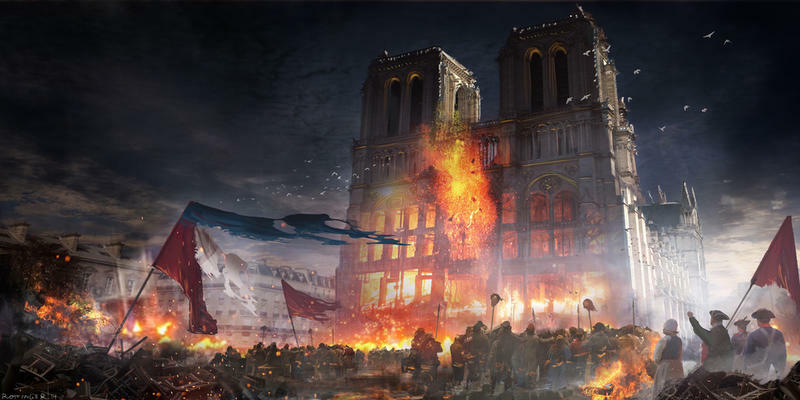 The Gilded Age was beginning to crumble. The Gilded Age could not last for long. 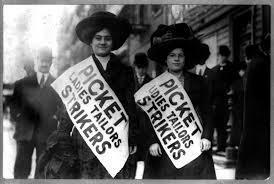 The working class had to organize in order to improve their working conditions. This was not an easy task, as the worker themselves struggled to find consensus on what they wanted. Once they created labor unions, the workers had a little bit of power. In 1877, the Baltimore and Ohio Railroad announced a ten percent pay cut which was the second pay cut in a year. The workers were very angry and stated that they would stop all trains from leaving the roundhouse until their pay rate was given back. This was the first official strike of a union and no one could stop it. Eventually, Federal troops were sent in to get the trains moving. This strike sparked strikes at other railroad companies. 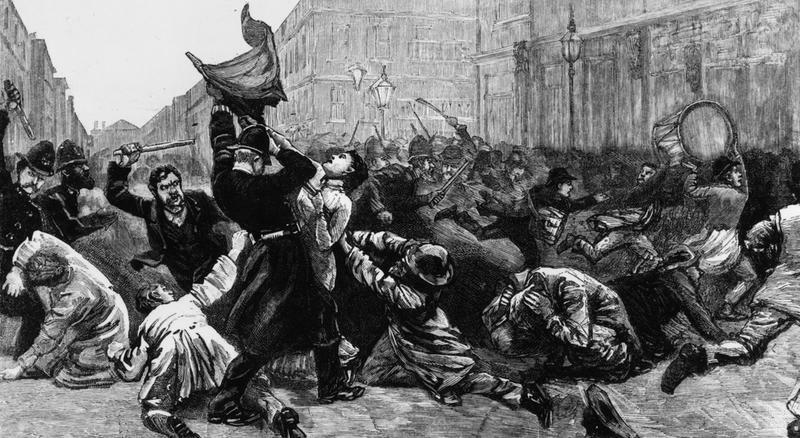 There was fighting between the workers and the local police force. Over 100,000 railroad workers were on strike, which struck fear into the tycoons. They were seeing their way of life ending. The strike ended as quickly as it began and it failed to produce what the workers wanted. What it did was show workers that they could wield some power if they worked together. In 1893, several businesses failed which began a downswing in the economy. 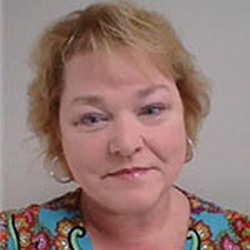 Banks folded and the unemployment rate went up to fifty percent. This lasted for four years and left the middle and lower class people tired of political corruption and inequality. The Progressive Movement started here and Theodore Roosevelt carried that torch to the presidency. Roosevelt enacted control measures over corporate America. 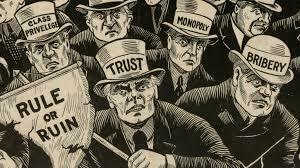 By 1917 with the beginning of WWI, the focus shifted to supporting the country and the Gilded Age was officially over. The wealthy didn’t really lose their money though. Many remained wealthy for generations, although some ended up giving much of their land and homes to charity or historical societies. The Progressive Movement still exists today, trying to narrow the gap between the wealthy and the working class.